Burt’s Bees is best-known for its lip balm, which comes in a honey-colored case. The bearded man emblazoned on the logo is Burt himself, specifically, Burt Shavitz. He looks so much the part of a quirky beekeeper, it’s tempting to believe it’s all just a marketing gimmick, but upon looking into his life, it’s clear he represents something uniquely genuine. Born in 1935 as Ingram, he began going by Burt after graduating high school. He spent some time in the Army, and then went to New York where he worked as a photographer taking pictures of everything from drug deals in the Bowery to protest rallies. In 1970, he decided he didn’t want to spend the rest of his life in a small New York apartment,so he moved to the Maine countryside. He let his hair and beard grow out, and learned beekeeping. He marked his hives as “Burt’s Bees,” so people wouldn’t steal them. He earned money by selling gallons of honey on the side of the road. Then, Roxanne Quimby came into his life and everything changed. In 1984, Quimby – a single mom of twins – met Burt, and the two became a couple. She had always been interested in homesteading, and began making candles with Burt’s beeswax, which they sold along with the honey. Locals started buying more and more, and businesses soon began to distribute them. In 1989, a New York boutique put in a order for hundreds of candles, so Burt and Quimby converted a bowling alley in their manufacturing headquarters and hired 40 employees. 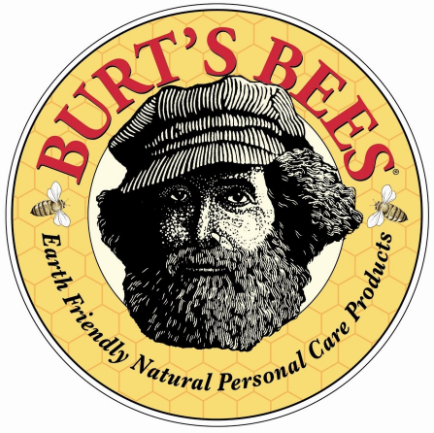 In 1991, the business became incorporated as Burt’s Bees, with Burt’s face as the logo. The company also began making personal care products after Quimby read a 19th-century book that contained homemade beeswax-product recipes. Three years later, the company moved to North Carolina. Around this time, Burt also left, and the story becomes more complicated. One of Quimby’s sons explained Burt’s departure as being motivated by the beekeeper’s unhappiness with working for a large company. He wanted to go back to his bees and quiet lifestyle, and volunteered to leave. However, there were also rumors about Burt and one of his employees, who were supposedly having an affair. According to her son, Quimby believed the affair would hurt the business, but Burt says his former partner was jealous. She told him he could either sign over his shares, or go to court for sexual harassment. Burt chose the former,and in 1991, Quimby official bought him out and gave him 37 acres in Maine, complete with a house worth $130,000. That seems like a pretty penny, but in 2007, Quimby sold the company for over $900 million to Clorox. Burt got $4 million. Many saw the decision as a betrayal of everything Burt stood for. The money wasn’t important to Burt, however. 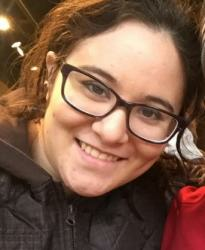 In interviews, he seemed bitter and sad about the situation with Quimby, and says her ambition was always greater than his. He was happy just selling honey and making enough to pay his bills so he could live in the country. In an interview in 2013, he said, “I’ve always had enough.” In 2015, he passed away at the age of 80. Burt’s Bees currently makes all kinds of personal care products like skin and hair care, baby wipes, makeup, pet care, and most recently, protein powder. If you’re interested in learning more about Burt and his unique, hermit-like lifestyle, check out the film Burt’s Buzz, which came out in 2013. Burt’s Bees sells natural makeup. Here are some other Gildshire picks!